JP Calvo comes up with 16 points on 6-for-11 shooting for the Knights. WHEN his team needed him to lead, JP Calvo answered the call. 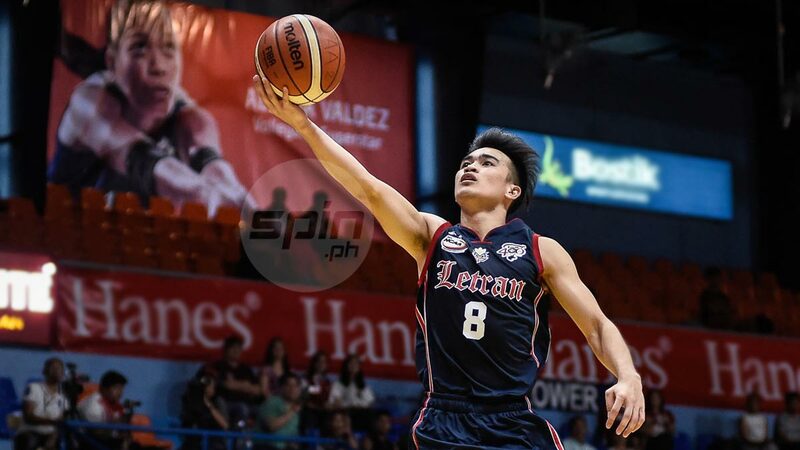 After the Letran Knights’ humbling opening game loss to the Perpetual Help Altas, head coach Jeff Napa insisted his veterans to step up and take command. Calvo took that message to heart as he led the Knights to their first win of the season with an 83-76 victory against the San Sebastian Stags on Friday. Calvo put up 16 points on 6-for-11 shooting as he controlled his team’s offense in the second half. Thanks to his offensive prowess but more importantly his leadership, he has been named Chooks-To-Go/NCAA Press Corps Player of the Week. Like a true veteran, Calvo deflected credit to his fellow Knights. Calvo edged out Quinto, Ian Alban and Levi Dela Cruz of Arellano and Yankie Haruna of St. Benilde for the weekly player citation awarded by scribes from print and online publications covering the beat.